Facebook stepped into yet another major privacy mess this week when a report in The Daily Beast revealed it has been asking some new users to hand over their private email passwords. According to the report, people began seeing an interstitial screen pop up while they were joining the platform that encouraged them to share their email log in credentials. Facebook said it needed the info to “automatically” confirm their third-party email addresses. But this feature was immediately (and rightly) blasted by critics, who accused Facebook of acting no differently than some of the scammers infesting its platform. 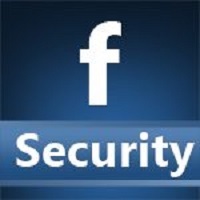 Following the report, Facebook initially defended itself by saying it didn’t store any of the passwords. However, the company soon backed down and ended the practice. Of course it’s a good that thing that Facebook got called out for this and stopped. But is it too much to ask the social media giant not to trick us into giving up more of our data?